The recent month or so has seen a bit of a swap in fortunes between Plymouth & Weymouth with Plymouth getting Dennis Tridents and Weymouth getting some of our Volvo B6BLEs in their place. Speaking as someone who really dislikes the Volvos this has been good news for Plymouth. We still have more than our fair share of these buses but the extra Tridents are very much welcome. So what do the fine people of Weymouth think of their buses at the moment? 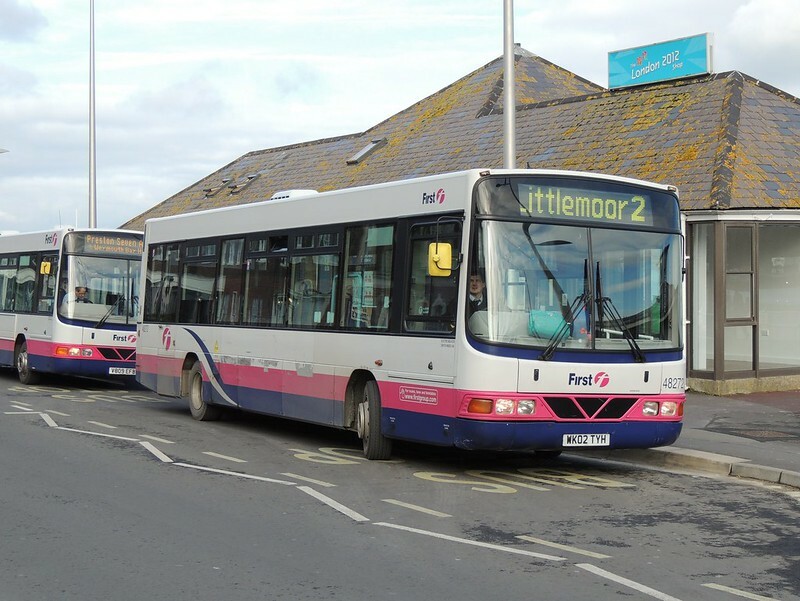 A BUS company accused of running a poor service in Weymouth and Portland is under fire from angry passengers… Changes are being made to the timetable from March 24 which will see some route improvements while other communities will be cut off. Protest meetings are being planned. Agreed. 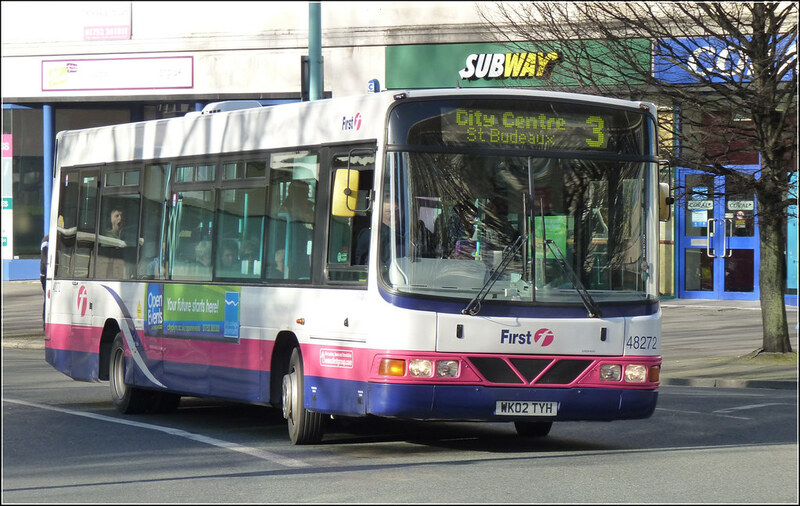 The B6BLEs are a poor choice of bus to operate in and around a hilly city like Plymouth. I think the engines are underpowered and they're geared for flatter routes. Passengers sometimes comment it would be quicker to get out and push! More new(er) vehicles better suited to Devon and Cornwall roads are required if First want to be seen as committed to local services here. They're a poor choice to operate in Weymouth too, particularly the Portland route (on which the V-EFBs were allocated when new) and the Dorchester route which has seen them in recent years. The tail-backs caused by buses crawling away from Weymouth on their way into Dorchester had to be seen to be believed. I find it incredibly difficult to believe that an organisation the size of First had no interest/willingness/desire to move these dreadful buses off such routes and substitute them with Darts or something that can manage hills. Perhaps no other First subsidiaries would take them? Apologies that this is not relevant to the posting. I was told yesterday that the Plymouth Citybus travel centre is moving out of Debenhams at the end of this month. The new premises are a ground floor shop unit on Royal Parade between House of Fraser and Debenhams. I guess having it located on Royal Parade on the ground floor will prove a much better move; being a much more convenient location. Thanks. Sorry I did not spot the travel centre announcement with the fares review (must have been distracted by the fares increase!). As you say will be so much more convenient being adjacent to most of their bus stops along Royal Parade.